According to a new report by GTM Research and the Solar Energy Industries Association (SEIA), the U.S. installed 930 megawatts (MW) of photovoltaics (PV) in Q3 2013, up 20 percent over Q2 2013 and 35 percent over Q3 2012. This represents the second largest quarter in the history of the U.S. solar market and the largest quarter ever for residential PV installations. 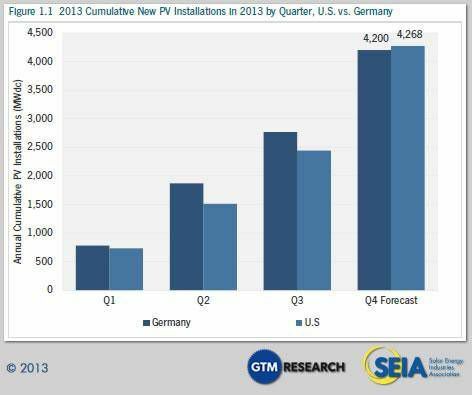 Even more importantly, 2013 is likely to be the first time in more than a decade that the U.S. installs more solar capacity than world leader Germany. When you accumulate all segments of the solar industry together in the US, solar is the second-largest source of new electricity capacity in the U.S. this year, trailing on natural gas. So what sector of the U.S. solar market is seeing the greatest boom? Residential rooftop solar. That’s right, through Q3, residential PV installs were up 45 percent year-over-year. And what does this mean for the roofing market? Theoretically this should create demand for roofing materials, jobs and a tremendous need for qualified roofing contractors who can ensure the proper waterproofing of these solar PV arrays. Ultimately, this should affect the entire food chain of the roofing industry in a very positive way. At a normal life expectancy of 20-25 years, it is critical to understand how one’s residential solar array is secured to the rooftop and waterproofed. Furthermore, it is important to understand if ones overall rooftop will hold up for that 20-25 year period all together. 1- Warranty: Is the company installing the solar standing behind the workmanship and waterproofing of the solar array for 25 years? 2- Condition of Existing Roof: Every roofing system is different and thus has a different life expectancy. If your roof has been on your home for 10 years or longer and you are now considering solar, take a long hard look at the expected longevity of your existing roof. You do not want to come back in the near future and rip apart your solar system to chase leaks and do repairs. 3- Who is installing and waterproofing? There are many fly-by-night roofers who are working with new start-up solar companies. They are mounting solar systems to rooftops that will never last the expected 25 years of the solar system and weatherproofing these systems with very shoddy workmanship and waterproofing standards. The reality is, most of these guys will not be in business within the next 5 years and thus their warranties aren’t worth the paper they’re written on. 4- Is the company installing the solar flashings and waterproofing properly licensed in your state as a roofing and waterproofing contractor? Many of the solar companies out there are skating by with simply an electrical license or solar license and then paying a handyman or general roofing laborer to complete the roof work. 5- Who’s on the hook financially if and when there is a problem? Most solar companies out there, warrant their solar panels, guarantee the performance of the system and differ the warranty of the waterproofing of the roof mounts over to their sub-contracted roofer. BEWARE and consider yourself warned, this will become a major issue for folks when the 100 year storm comes. The morale of the story is, residential rooftop solar is here to stay and will soon put the U.S. in the lead position globally. But make no mistake about it, it is the new gold rush and there are many systems being put up that are going to have significant leak issue in the near term. Take advantage of the solar savings, truly consider the benefits that solar offers, but do not fall victim to inferior products and or services. If you are considering residential or commercial solar in Los Angeles or Orange County and would like a professional, no obligation solar estimate, please contact our office at 310-831-7663. We will be happy to provide you with a thorough evaluation of your current roofs condition, as well as a complete and thorough solar site survey. We like to point out that our team of experts handles the entire process from soup to nuts.  Chandler’s handles all solar engineering, design, permits with the city and interaction with the utility while completing the entire install with our own inhouse team of roofers and electricians. There is no system to big, or to small so please give us a call. Below are just a few of our solar installations, please check out our Pinterestpage for more.